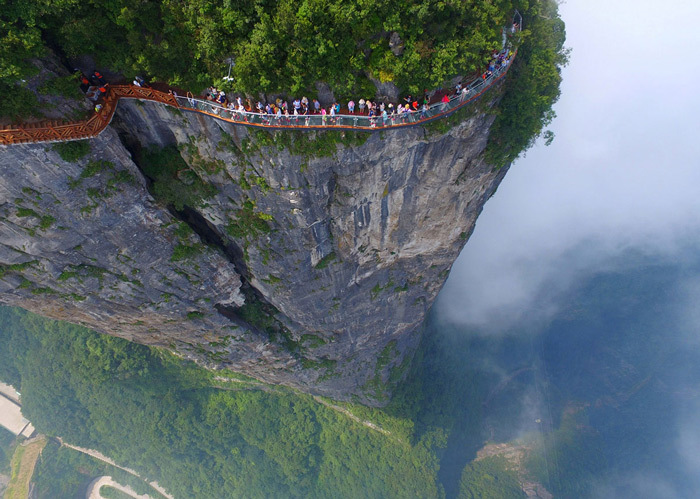 1.People walk along a high cliff wall on a glass-floored sightseeing walkway in Zhangjiajie, Hunan Province, China, on August 1, 2016. 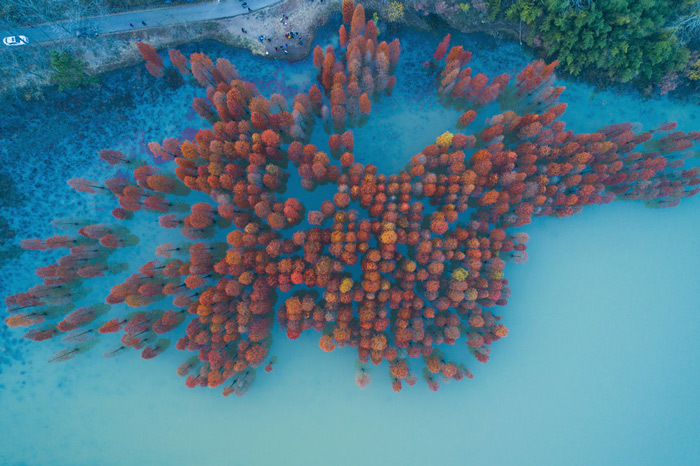 2.An aerial drone view of trees with fall foliage along a small lake in Nanjing, China. 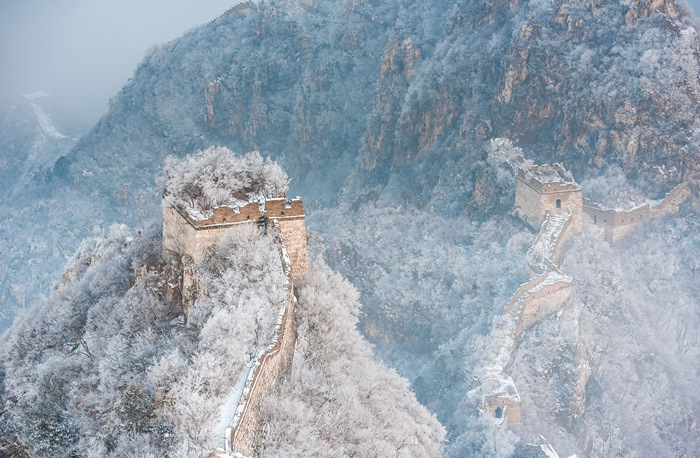 3.A section of the Great Wall near Beijing in winter. 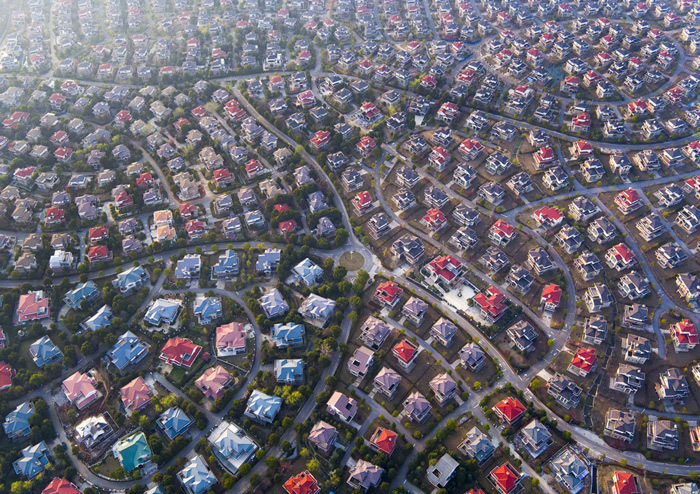 4.A suburban neighborhood in Wuhan, Hubei, China, viewed on March 11, 2016. 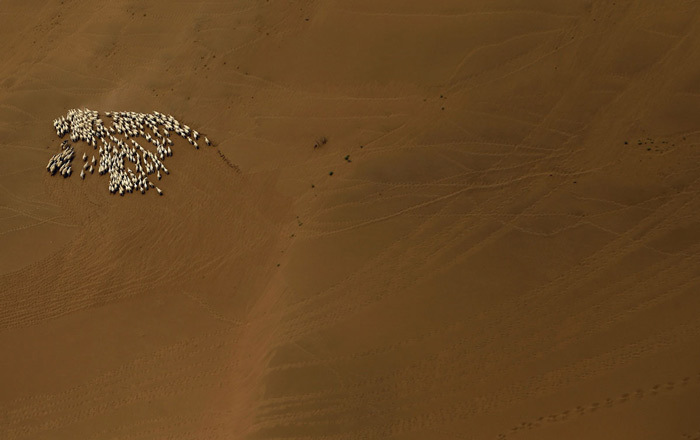 5.A flock of sheep in Inner Mongolia's Gobi Desert on July 21, 2016. 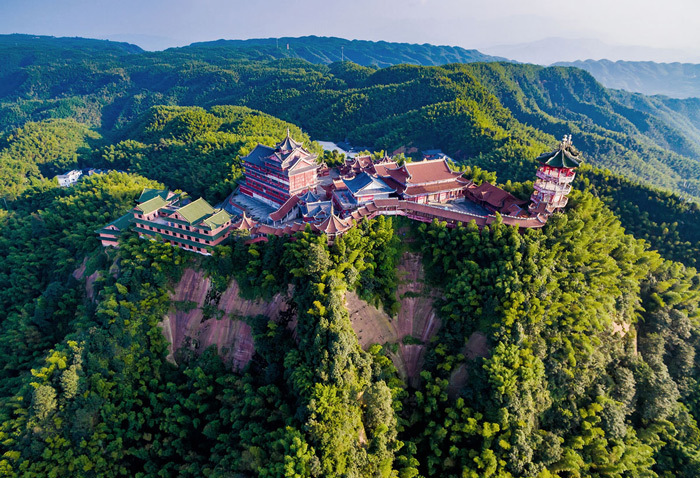 6.Longyin Temple, overlooking the Shunan Bamboo Sea in Yibin, Sichuan Province, China. 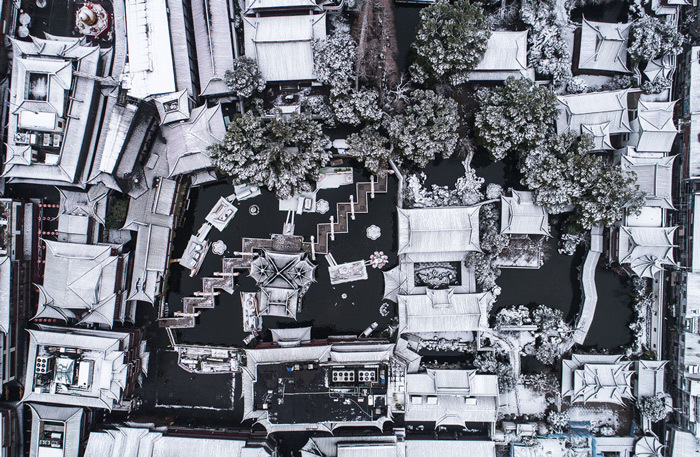 7.Looking down on Shanghai's Yu Yuan garden after a snowfall. 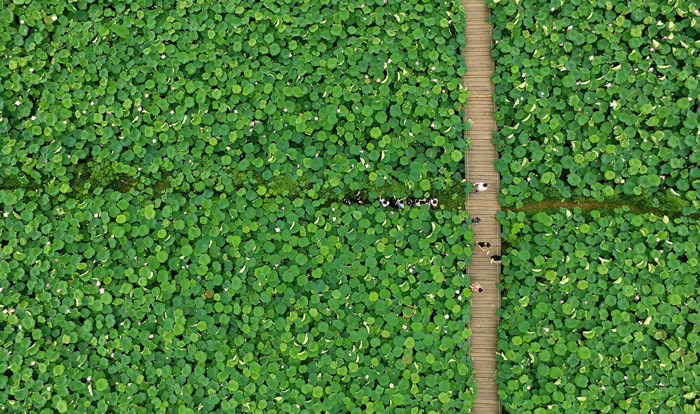 8.A lotus field in Quzhou, Zhejiang Province, China, photographed on July 9, 2016. 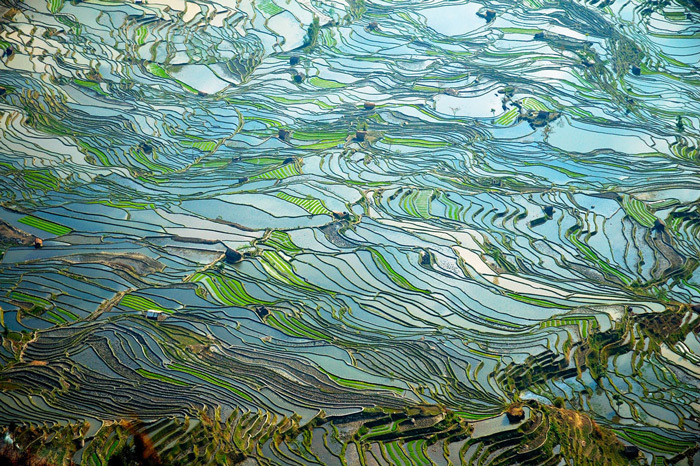 9.Terraced fields near Tiger-Mouth Village, Yuanyang, Yun'nan, China. 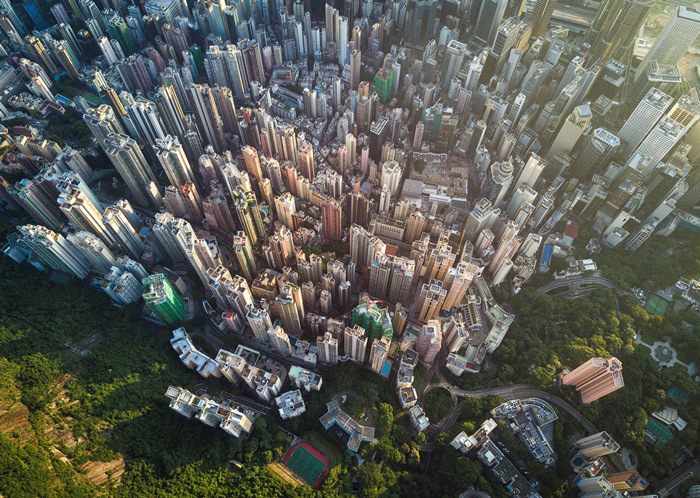 10.Looking down on part of Hong Kong, near Victoria Peak. 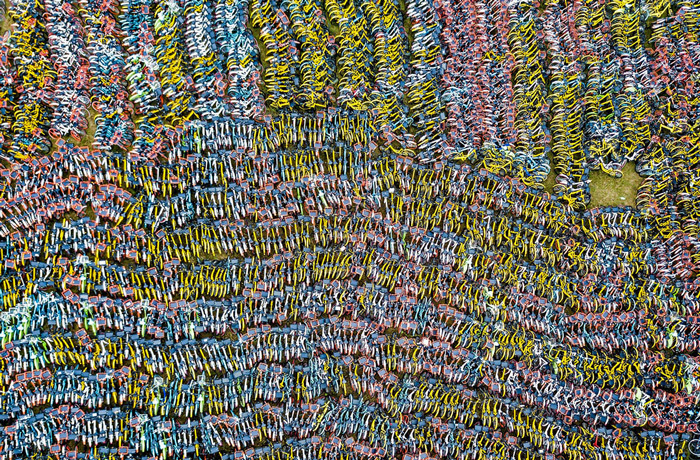 12.Piles of unused shared bicycles which were collected by police after they blocked pathways, stand abandoned in a field in Hangzhou, Zhejiang province, on June 28, 2017. 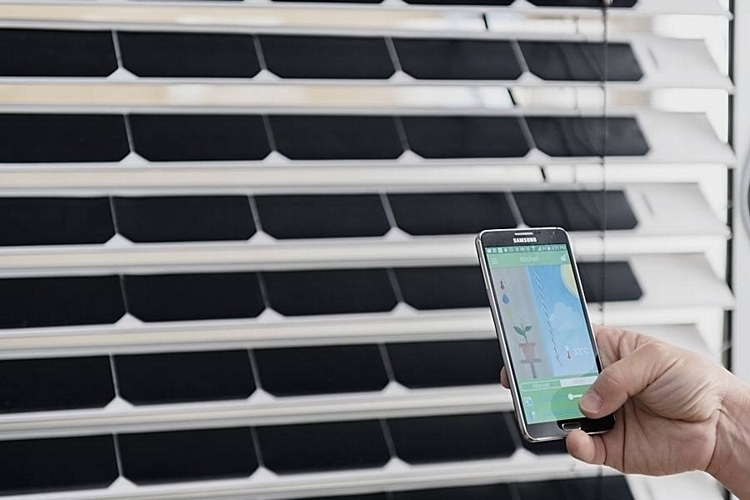 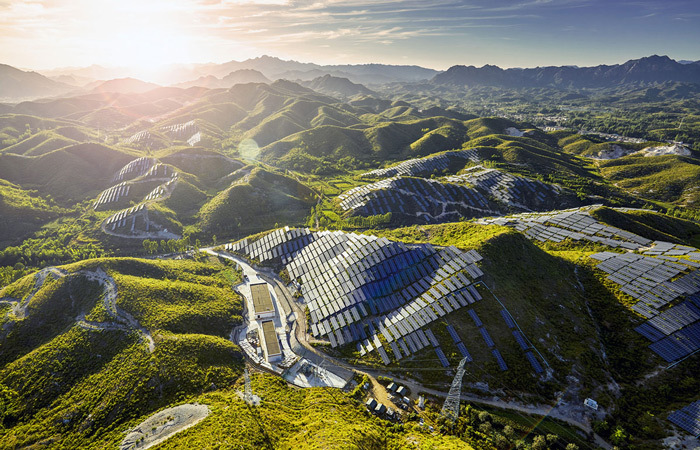 13.Solar panels cover south-facing hillsides in a part of rural China. 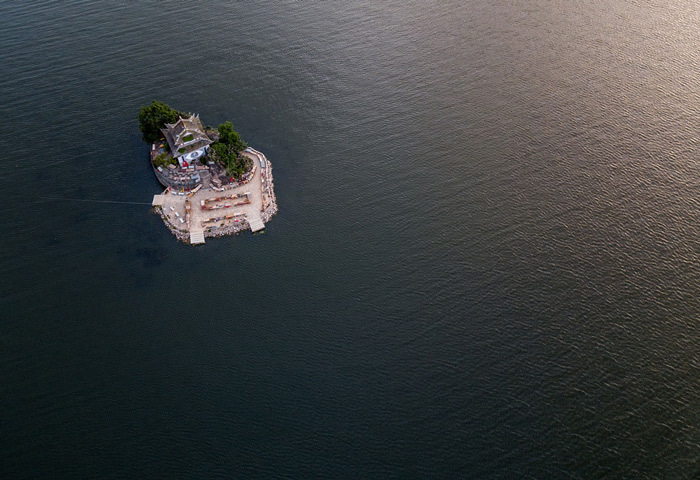 14.Putuo Dao Island Temple on Erhai Lake in Dali, Yunnan Province. 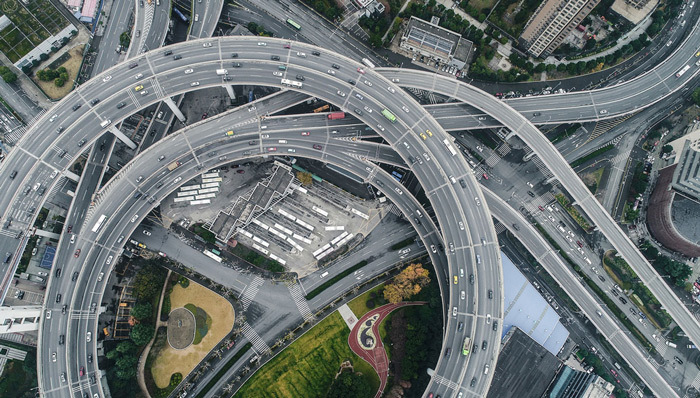 15.An aerial view of Shanghai Pentagonal Mart in Huinan Town of Pudong District in Shanghai. 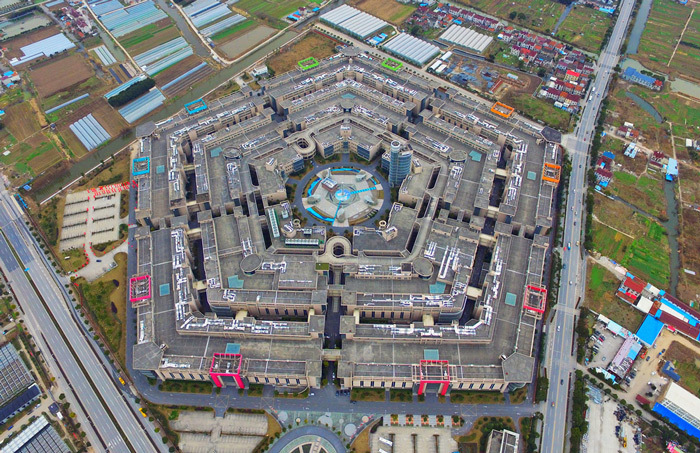 This pentagonal marketplace, resembling the Pentagon in the U.S., became the largest vacant building in Shanghai in January of 2016.